The U.S. president blocked a $1.3 bln takeover of Lattice Semiconductor. It’s not a new position: his predecessor was sensitive to Beijing’s ambitions and nixed a similar acquisition. With scrutiny likely to intensify, buyers and sellers can save face by rethinking these mergers. 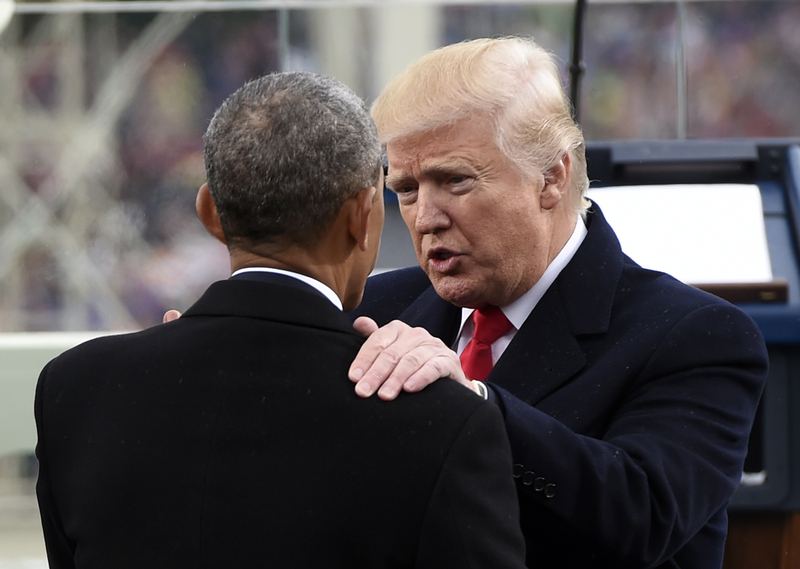 U.S. President Donald Trump speaks with former president Barack Obama during the Presidential Inauguration at the U.S. Capitol in Washington, D.C., U.S., January 20, 2017. Lattice Semiconductor and Canyon Bridge Capital Partners on Sept. 13 said they were terminating their $1.3 billion merger after U.S. President Donald Trump blocked the deal. Trump made the move based on the recommendation of the Committee on Foreign Investment in the United States, a government panel that reviews deals for national-security concerns. Canyon Bridge is partly funded by the Chinese central government and had indirect links to its space program, Reuters reported in November. White House Press Secretary Sarah Huckabee Sanders said in a statement that the risks posed by the deal included the potential transfer of intellectual property to the Chinese buyer, the PRC government’s role in supporting the deal, the importance of the semiconductor supply chain to the U.S. government and the use of Lattice products by the federal government.